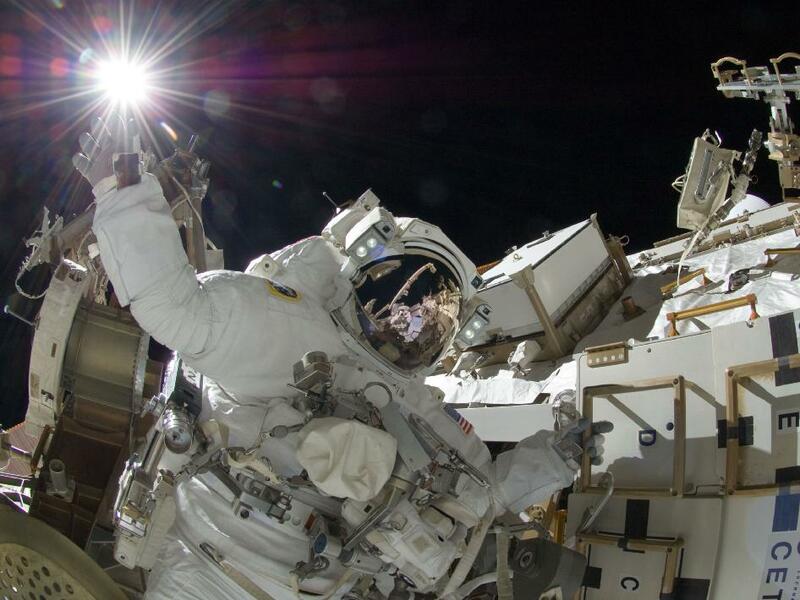 Today, 2 astronauts suited up and went outside the ISS to perform a spacewalk. Today, a procedure that I helped write was executed. 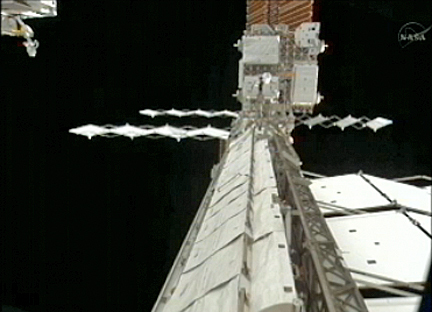 We deployed a new radiator and maybe changed the face of the ISS forever. Source. That's the new radiator on the right, in the back, mid-deploy. Today I worked a long, exausting, 11-hour shift in ISS Mission Control. I sent about a hundred commands. I commanded rotating joints and power converters. I changed software states and hardware states. Source. That's a few rotary joints! I am lucky I have a job that puts food on the table and a roof over my head. As we say on Passover, "dayenu," which is Hebrew for "it would have been enough." But I'm luckier than that. I control a laboratory flying 17,000 miles per hour, orbiting 250 miles above our heads. Forget the hours. Forget the stress. This is the coolest job in the world. I am not just lucky. I'm blessed. You are right, you do have the coolest job. Sure makes my numbers crunching look boring...oh wait, everything makes that look boring.